A salamander is a harmless creature that looks like a lizard, but it is related to the frogs and toads. 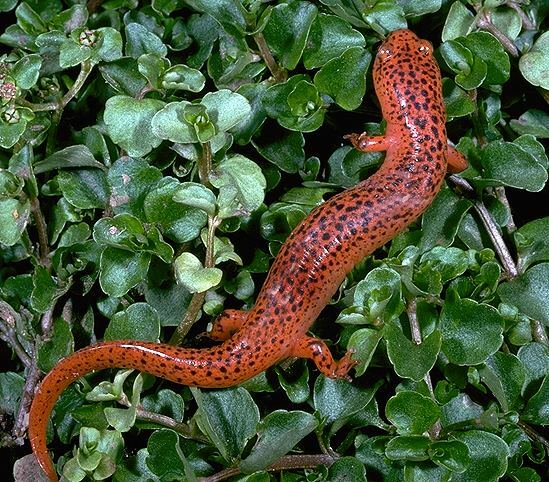 Salamanders’ bodies and long tails make them look so much like lizards that they are often mistaken for them. It is easy to tell them apart. Lizards are covered with dry scales. Salamander has smooth, shiny skin that always looks wet. Salamanders are timid, harmless creature. They love to live in streams and ponds, on land beneath stones and rotting logs where it is cool, dark and moist.